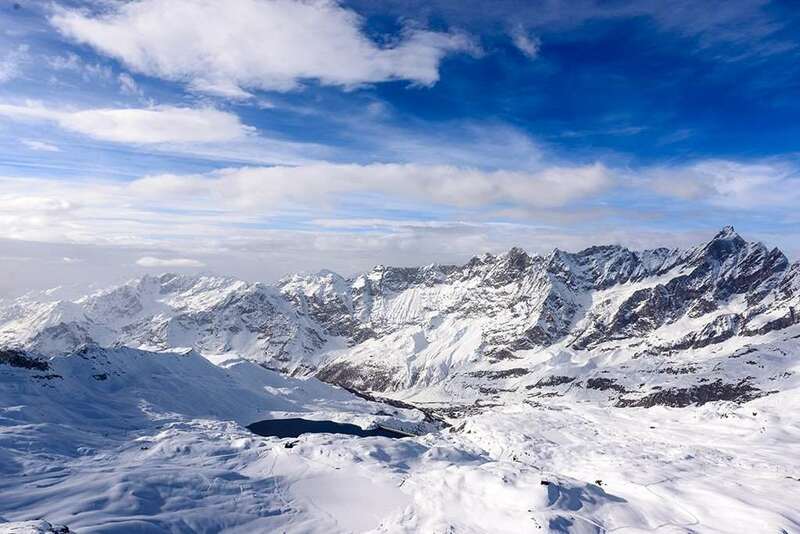 The Valtournenche valley with the mighty pyramid of the Cervino (Matterhorn), is the most impressive and interesting valley of the Valle d'Aosta. 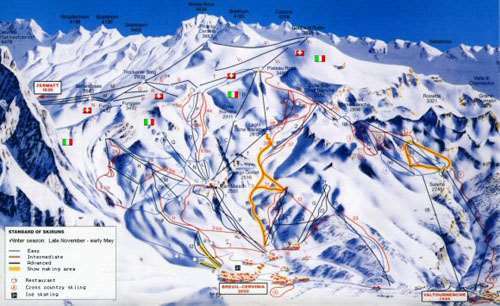 From Chatillon it stretches 27 km northwards and finishes at Breuil-Cervinia at the foot of the Matterhorn. The village of Valtournenche is 9 km before Breuil-Cervinia. Bus service to Chatillon. This is an original mountain village which has only been moderately developed into a holiday resort.